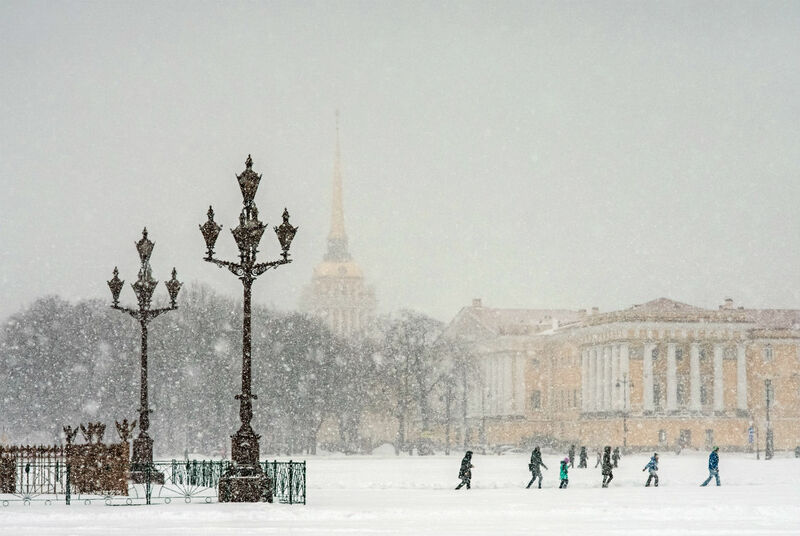 Snowfall on Palace Square in St. Petersburg. Russia's former Imperial capital grows in popularity with travelers despite economic crisis. The number of permanent residents in St. Petersburg in 2016 was less than the annual number of tourists, writes the daily newspaper, Rossiyskaya Gazeta, citing the City Committee of Tourism. In 2016, the number of tourists visiting St. Petersburg totaled 6.9 million, which is much more than the city's official population of 5.2 million residents. This figure is up from 2015 when 6.5 million tourists enjoyed the city's rich heritage, and proves that the economic crisis has not deterred travelers. In December 2016, for the second year in a row St. Petersburg won the World Travel Awards for the best tourist destinations in Europe. The city surpassed Amsterdam, Barcelona, Berlin, Oxford, Lisbon, London, Paris, Porto, Istanbul, Edinburgh, Venice, Rome and Florence.